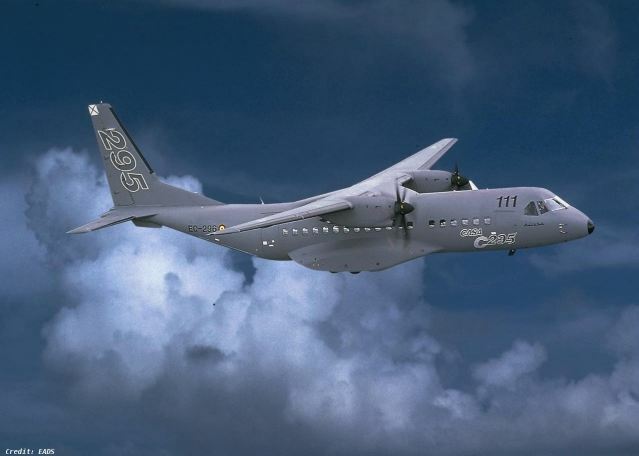 The C295 is a multifunction aircraft that operates into short, unimproved runways. 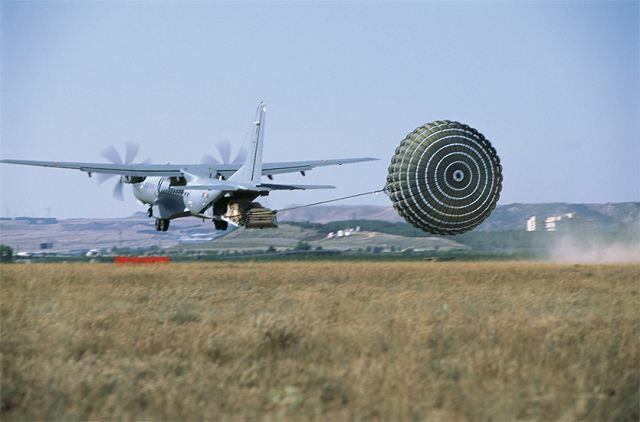 It is extremely effective in operating in austere, remote airfields, and in adverse weather conditions and has exceptionally low fuel-consumption. In operations in Kosovo, Iraq and Afghanistan it has demonstrated exceptional mission flexibility and rapid cargo-space reconfiguration. 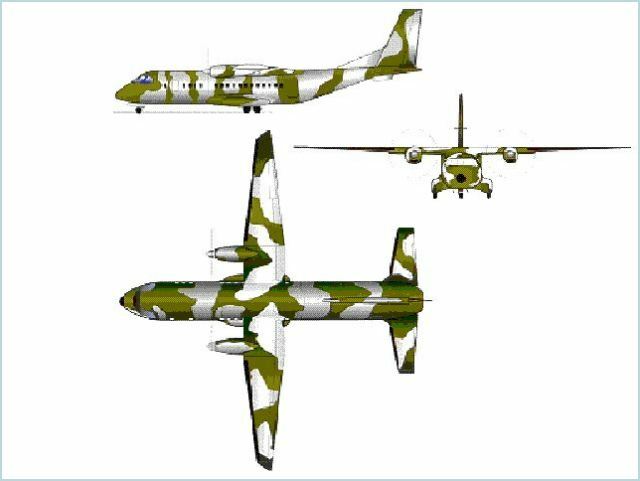 The C-295M is EADS CASA twin-turboprop transport aircraft developed by the former Construccionnes Aeronáuticas SA (CASA), based in Madrid and a founder member of the EADS company. 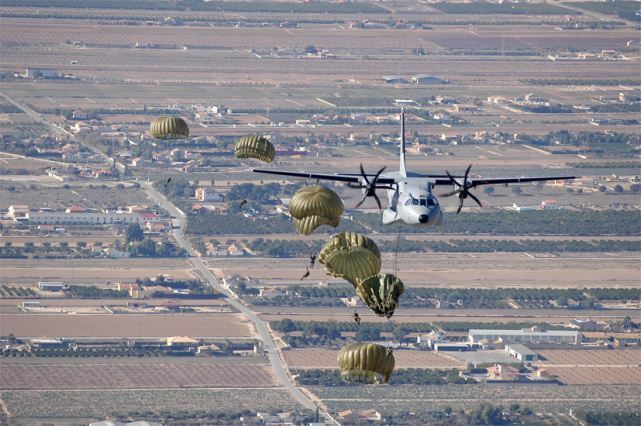 While flying these military missions it has completed live day/night, poor weather, and austere field operations. 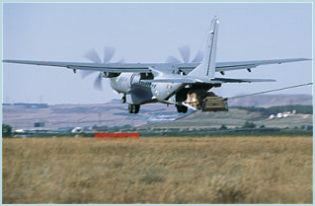 Easy on-load and off-load procedures and a, Cargo Handling System compatible with standard military pallets, reinforced heavy-duty floors and the longest cabin in its class result in a real multimission aircraft.The C295, with its volume and its floor area, boasts a wider range of transport capabilities than any other tactical airlifter. 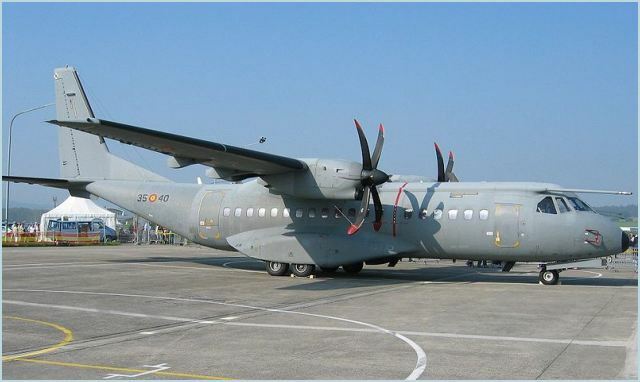 A total of more than 70 C295 have been ordered, with more than 50 already delivered and in operational service. Its operational success, with a proven record in austere and hostile regions, is based on the general efficiency of the aircraft and its excellent capabilities. 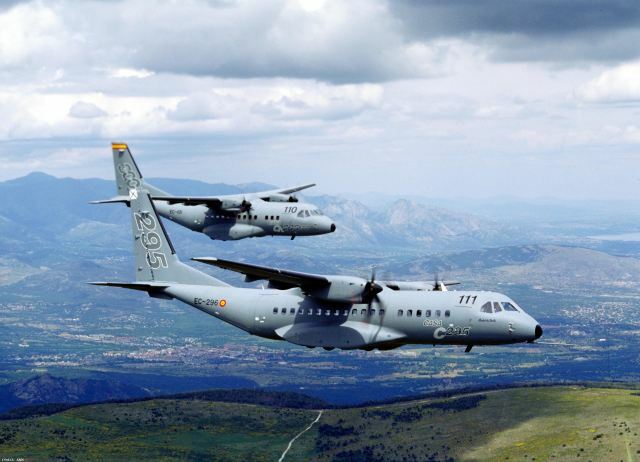 The C295 MPA, in operation for the Chilean Navy and the Portuguese Air Force, is capable of carrying out missions lasting over 11 hours, the greatest endurance in its category, which gives the operator great flexibility and safety. The C295 design is based on a robust and reliable structure, able to withstand the rigours of military tactical usage. 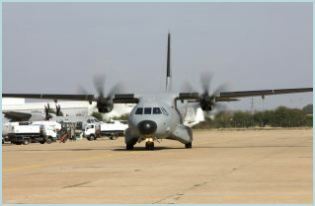 The landing gear is also designed to be used on unprepared and short airfields, being able to handle high sink rates typical of tactical missions. 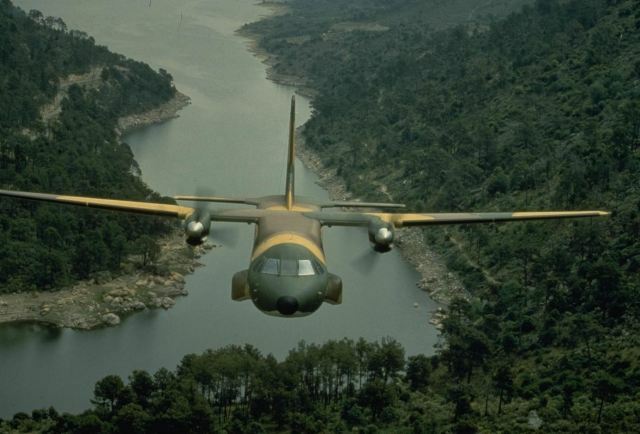 Compared to other tactical transport, the C295 has a simpler system architecture, with fewer components, less weight and better reliability resulting in lower operating costs. 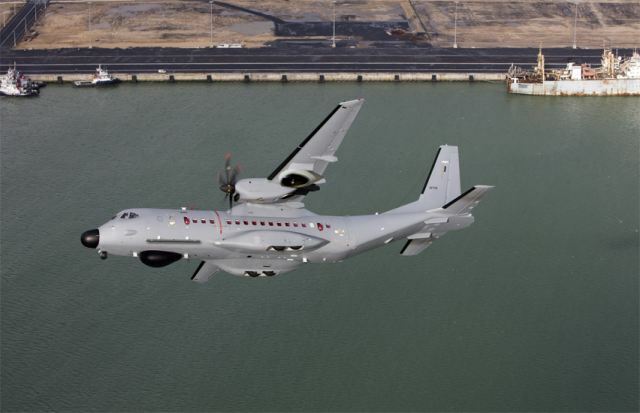 The C295 provides up to six underwing store stations for the installation of torpedoes, anti-surface missiles, mines, depth charges, reconnaissance/jamming pods and search lights. The C295 is equipped with self-protection equipment, already in service in hostile environments: cockpit armour, radar warning receiver (RWR), missile approach warning system (MAWS), laser warning receiver (LWR) and chaff/flares dispensers. 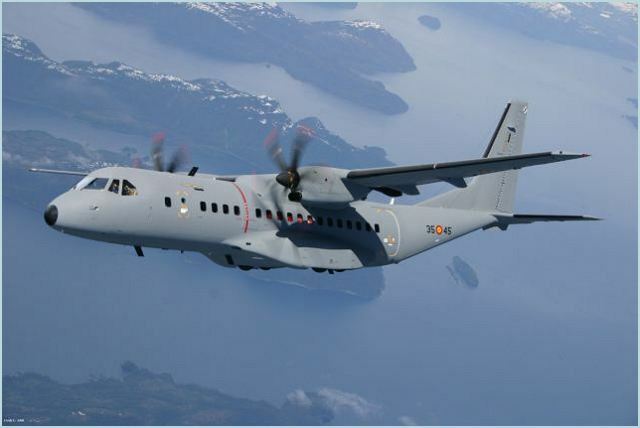 The C295 MPA includes Airbus Military´s Fully Integrated Tactical System (FITS) for mission control, which integrates a wide range of sensors and provides an interface with the navigation and tactical communications systems. The ASW version of FITS has completed an extensive operational evaluation, including participation on anti-submarine and anti-surface (ASW / ASuW) missions on NATO exercises, confirming the maturity and capacity of the MPA/ASW C295’s mission system. anti-surface missile, mines, depth charges, reconnaissance/jamming pods and search lights.